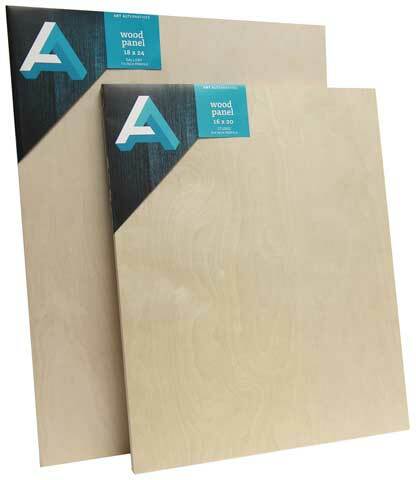 These 4mm sanded birch plywood panels feature a smooth, strong surface mounted on a solid pine cradle. More durable than canvas, they resist flexing or warping. The sanded edges allow work to flow beyond the face of the panel. Great for painting, especially thick, heavy applications and palette knife work, mounting, encaustic, and mixed media; as well as for craft use as a shadow box, frame or tray. Available in two profile depths: Studio panels are 3/4" deep and Gallery panels are 1-1/2" deep. Panels to be shipped must be ordered in full case quantities and additional shipping charges may apply. Contact us for details.